There’s nothing more desirable than a great location. Marriott’s tradition meets Hawaii’s aloha spirit. We meet expectations, then exceed them, with elegant accommodations, deluxe amenities, and gracious island hospitality. The warmth you feel around here isn’t only because of what we do, but who we are. Find out where we’ve been, where we’re going. At Marriott Hawaii, history repeats itself, again and again. 1939: Marriott signs its first food service management contract with the U.S. Treasury. 1945: First Hot Shoppes cafeteria opens in Washington, D.C.
1953: Marriott stock becomes public at $10.25/share and sells out in two hours. 1955: The company’s Highway Division opens several Hot Shoppes on the New Jersey Turnpike. 1967: Corporate name is changed from Hot Shoppes, Inc., to Marriott Corporation. 1967: Marriott acquires Camelback Inn, its first resort property. 1972: J.W. Marriott, Jr. is named CEO. 1981: Marriott opens its 100th hotel and first Hawaii property, the 720-room Maui Marriott Resort. 1983: Marriott opens its first Courtyard hotel. 1993: The company splits into Marriott International and Host Marriott Corporation. 1995: The 356-room Kaua’i Marriott Resort opens as Marriott’s 1,000th property. 1997: The company acquires the Renaissance Hotel Group, and introduces TownePlace Suites, Fairfield Suites, and Marriott Executive Residences brands. 1999: Marriott acquires the ExecuStay corporate housing company. 1999: The 387-room JW Marriott Ihilani Resort & Spa at Ko Olina brings a new level of Marriott excellence to O’ahu. 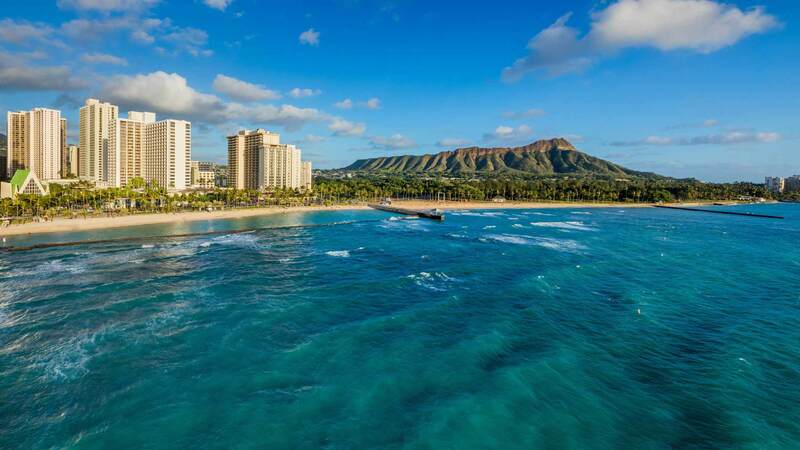 2000: The 1,310-room Waikiki Beach Marriott Resort & Spa opens in Waikiki. 2004: Marriott opens a second Wailea property – the 521-room Wailea Marriott Resort. 2004: The company expands to the Big Island with the 545-room Waikoloa Beach Marriott Resort. 2004: Marriott’s 500,000th room opens at the West India quay Marriott Hotel in London. 2004: Marriott Rewards welcomes its 20,000,000th member. 2006: Marriott introduces plush new Revive bedding at all of its hotels and resorts. 2006: All Marriott lodging properties in the U.S. and Canada become 100% smoke-free, the industry’s largest move to a non-smoking environment. 2009: Marriott Resorts Hawaii takes its Spirit of Aloha Tour to three cities in Japan on a seven-day promotional blitz with celebrity sumotori Konishiki. 2009: Marriott Resorts Hawaii delves into social media with an innovative and award-winning social media campaign that gave away 25 free trips for two to Hawaii in the successful Tweet Yourself to Hawaii Sweepstakes and one grand prize in the Win a Hawaiian Trip for 12 video contest. 2010: Marriott Resorts Hawaii journeys more than 5,500 miles through 11 cities in its second continental U.S. Spirit of Aloha Tour, promoting travel to the Islands and visiting Children’s Miracle Network hospitals in select cities. 2010: JW Marriott Ihilani Resort & Spa unveils its 15,600-square-foot Hokulani Ballroom, enhanced with a stylish modular design and broadband wireless capability and expanded to better serve meetings and banquet events. 2010: Kauai Marriott Resort on Kalapaki Beach completes a $50 renovation project that transformed all areas of the oceanfront resort, including a more modern look-and-feel in the guestrooms, new children’s swimming pool, redesigned Kukui’s on Kalapaki Beach restaurant with the brand new Toro Tei sushi bar and expanded porte cochere. 2010: JW Marriott Ihilani Resort & Spa welcomes the Fia Fia Show, a Polynesian revue under the direction of Chief Sielu Avea, every Thursday night at the resort’s oceanfront lagoon lawn. 2010: JW Marriott Ihilani Resort & Spa refreshes its renowned Ihilani Spa with a new design, the addition of a couple’s treatment room and the Ho‘onanea Suite for private parties, new “Fin to Fitness” aquatics class and a 24-hour fitness center. 2010: Wailea Beach Marriott Resort & Spa welcomes a new luau dinner and show called Te Au Moana from the renowned Tihati Productions, which celebrates the island of Maui with contemporary song and hula. 2010: Wailea Beach Marriott Resort & Spa opens a new Romance Center, offering creative packages and knowledgeable experts to make any occasion special, including proposals, weddings and vow renewals. 2011: Marriott Resorts Hawaii returns to the U.S. Mainland with its third Spirit of Aloha Tour, sharing the aloha spirit through 11 cities over four weeks including visits to Children’s Miracle Network hospitals. 2015: Legendary Hawaii resort, Mauna Kea Beach Hotel, joins the Marriott Hawaii ohana as Hawaii’s first Autograph Collection property, truly like nothing else Marriott Hawaii has seen. Learn more about our core philosophy, which serves as the cornerstone for all Marriott associates — and find out what we are doing to make a difference in Hawaii. Whatever your professional goals or career aspirations, let us open doors to your future. If you’re ready to work with a leading global company, you’ve come to the right place. As one of Fortune’s “100 Best Companies to Work For,” Marriott offers careers with continuous opportunities for advancement with a wide range of career destinations.